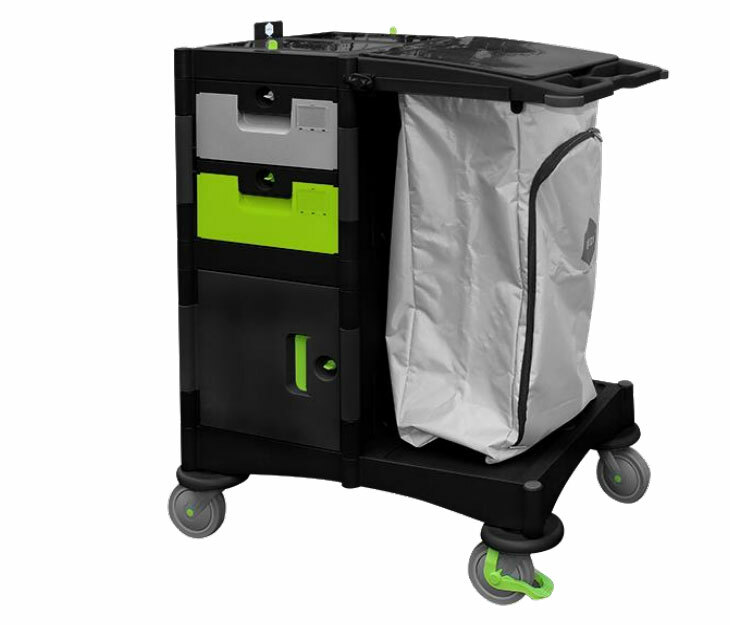 Brix cart for damp system to pre-moist flat mops in drawers and maximize hygiene. Cleaning methodology is damp, with change of the mops each room/bathroom to minimize cross contamination. Full cabinet mix with doors and drawers version.